At the end of a long week, you want to be able to relax and recover! But when you have children, this might not be the case! Children seem to have unlimited energy and, if you don’t entertain them, some sort of chaos will eventually be caused. It’s not like you must be doing things all the time, but there are certain things you can do to make them spend their energy a little better. This article will highlight how you can have some family fun as well as being able to keep your children happy. Most children love bowling but bowling balls can be very heavy for small kids to be able to freely play. At LIFE, we offer mini bowling, which is a great game where children can bowl safely and freely. 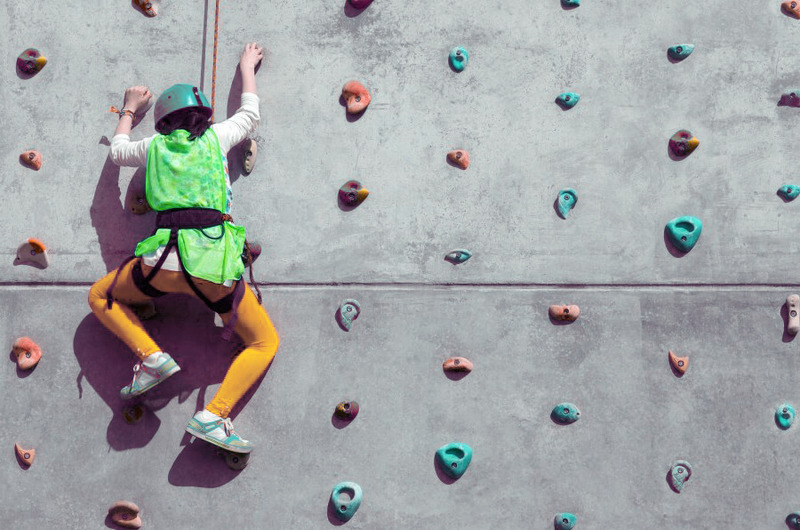 A bit of a different type of activity but rock climbing is a great way to build your children’s confidence up by doing things they typically wouldn’t do. Here at LIFE, we offer rock climbing as an activity; we have a full range of safety equipment and professionals on hand to make sure of the safety of your children. We have all spent lots of time playing arcade games and it makes time feel like it is going so fast because it is such a fun activity. At LIFE, we offer a wide range of arcade games where you and your children can play endlessly. A little bit more of an adrenaline pump! This out of this world experience makes you feel like a space cadet! Running around a luminous maze, shooting laser guns at the opposite team. LIFE has an excellent facility where you and your children can enjoy the experience of laser tag. One of the funniest places to visit for a child, soft play areas are great for children to be able to explore and face unique challenges in the form of these obstacles. Such a great environment for children and, at LIFE, we offer a great soft play area at a very reasonable price. If you want to have a family fun filled day and want your children to expend some energy, come down to LIFE to have a great day out. We have everything you need to keep your child entertained for a very long period of time, from arcade games to rock climbing. Contact us now for more information.